Given that Brad Pitt has been cast as the Army’s Gen. Stanley McChrystal in a movie, we felt inclined to ask our readers on Facebook who could possibly play the role of Mad Dog, were he a character to be cast in a blockbuster film (certainly only a matter of time, right)? The thread was pretty clear and near unanimous: only Mattis can play Mattis. But, clearly there were other candidates who deserved the spotlight as well. Seems an obvious choice. 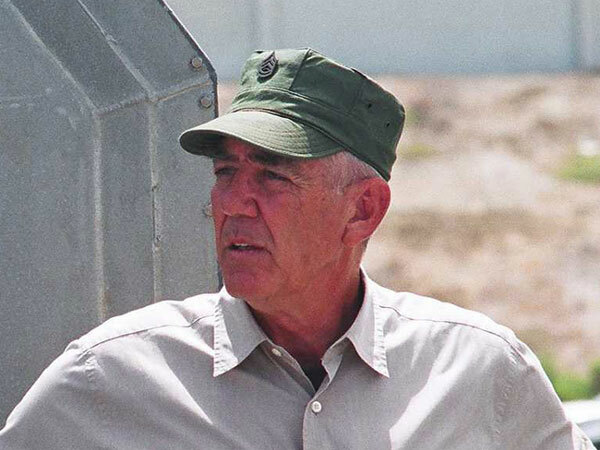 Ermey is among a handful of Marines to get promoted – to Gunny of all ranks – after ending his service. He’s also played a pretty famous role as Gunny Hartman, and he’s considerably obsessed with arms and munitions of various caliber, not unlike, one would suspect, James Mattis. Kevin Bacon got a few shout outs, as did Jim Carrey. Chuck Norris, obviously. Bruce Willis, also pretty obvious. Any mention of George Clooney immediately met with harsh comment-section rebuke. There was a Channing Tatum shout out, hilariously enough. And finally someone needs to remind the crowd that Jason Statham, though imminently awesome, is also totally British, and thus arbitrarily not a front runner. Only Mad Dog could be Mad Dog. I missed the initial survey, but my nom is Bryan Cranston (Breaking Bad). No brainer. Who the hell is Chesty? I would have thought people would have mentioned Sam Elliott. He played a good Sgt. Maj. Plumley. Uh yeah who the hell with any interest in military, any branch for that matter, asks who Chesty is. I’m hoping that was a sarcastic comment because if not you need to stop reading these articles! Robert John Burke did a pretty solid job in Generation Kill. General Mattis should definitely play himself! Really no Sam Elliot,SgtMaj in We were soldiers. I’d be honored to just carry the water buckets. Amos would be played by Clint Howard, most notably in Little Nicky, that about fits the bill. I immediately recognized Burke as Mattis in Generation Kill. That show always makes me feel like I’m back with Killer Kilo. Gary Sinise starts him out and the General finishes himself. But get Hollywood to be truthful? You’ve got a better chance of seeing ELVIS. Ermey and Eastwood are too old. Interesting that they’re on the list, Ermey in the worst Marine Corps movie ever made “Boys in Co. C”; and Eastwood in the third worst Marine Corps movie ever made. Duh…no mention of Robert Diniro? Harrison Ford would also do well. Harrison Ford was rumored to play him in the film adaptation of No True Gory but that never panned out. Cannot be R. Lee Ermey, he kissed another man in a movie. I can never look at him the same again after that. Mattis, no matter what the payday would never have done such a thing. Chesty Puller, Was a MIGHTY Marine and A Mighty Marine was He, He called for his pipe, He called for his bowl and called for his Privates three………..
Ermey is not too old and would be great, Eastwood IS too old. 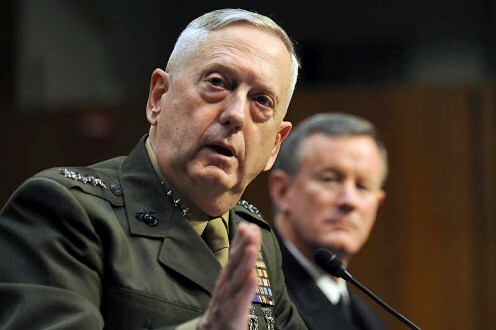 Mattis himself is NOT an actor…so he gets ruled out immediately. Boys in Company C had nothing to do with Ermey give bad credit to the producer. And saying Heartbreak Ridge was terrible….that’s blasphemy. They are MOVIES man get over it. Great entertainment.